Free Shipping within the U.S. excluding Alaska & Hawaii. Size limitations apply. Sheer Genius! These sophisticated shades unite draperies, shades, and window blinds into one exquisite and stylish design. These shades are made from bamboo, reeds, grasses, jutes, and yarns to create a one-of-a-kind natural and earthy look. These shades bring a softer look to your windows. The array of fabric options makes it easy to coordinate with your style. With the appearance of real wood, faux wood has high resistance to humidity and heat which makes it a perfect option to use in kitchens and bathrooms. We guarantee our products to be of superior quality. The products we sell are handcrafted by skilled American craftsmen using only superior quality components. This is what makes every brand we offer the best on the market. At Blindsmax, we believe everyone should have access to beautiful window treatments at an affordable price. Whether you’re shopping for blinds, window shades, or custom window coverings, you can find what you need at Blindsmax.  We carry only the highest rated and most preferred brands available. Create a luxurious new design scheme for the windows in your home on any budget with the help of our knowledgeable customer service professionals or shop online at your convenience. Before you can buy window coverings you need to know some of the key differences between the window coverings available. Do you need child safety? Privacy? Energy Efficiency? Each type of window covering has its own unique ideal use and each offers a unique style and flair to your home. Blinds typically offer the greatest control over the level of light and privacy in a room. Popular materials include hardwood, faux wood, aluminum mini, and composite. Blinds are arguably the most popular type of window covering and there are cordless options perfect for homes where child safety is a priority. Shades are becoming increasingly popular due to their versatile and varied styles and colors. Cellular shades are energy efficient and are often referred to as a honeycomb shade, Roman Shades have an elegant cascading look which adds richness to any room and Solar Shades reduce glare and UV rays while still letting you see the world outside your window. Blindsmax is proud to provide window coverings to all contractors, educators, home builders, home decor retailers, government facilities, hotel chains, restaurants and design firms. We offer bulk quantity contract pricing and professional service agents to assist you with your next upcoming project. Contact our Commercial & Contract Department to get started. Window covering cords cans pose a strangulation hazard to infants and toddlers. 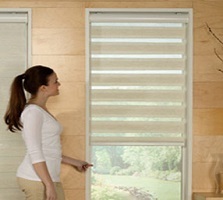 Our child safe cordless blinds & shades eliminates dangling and puddling cords. We recommend that only cordless window coverings be used in homes with young children and pets. In addition to safety, cordless window treatments offer an overall clean and modern look. your complete satisfaction is our highest priority.